American Idol’s 10th finale opened with all due pomp and circumstance. Ryan Seacrest wore a tuxedo, but black tie was optional for everyone else. More than 122 million votes, a record number, were counted to determine whether Lauren Alaina or Scotty McCreery would become the next American Idol. 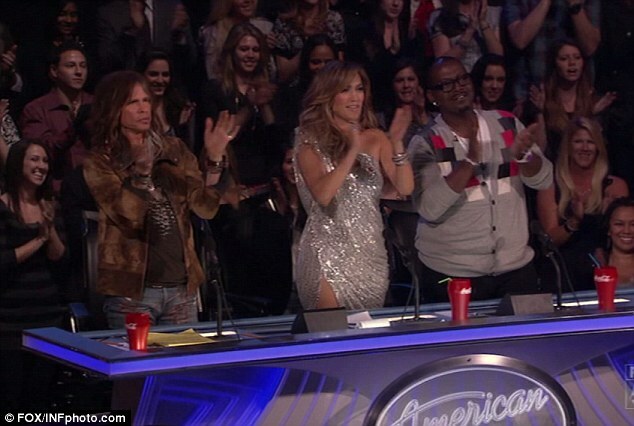 Click to continue reading American Idol 10: Winner! The stage was set for drama on the Thursday results episode of American Idol. With lights turned low, Ryan Seacrest intoned about the importance of the vote. You see, only the Top 3 get to go home in glory, to a big hero’s welcome. The fourth-place finisher simply goes home, to wait for the Idol summer tour with the rest of the season’s rejects. It took almost 72 million votes to determine the Thursday results. The Top 4 all scored high praise from the judges on Wednesday, each having two performances with which to impress them. American Idol’s Now and Then theme mixed modern with retro, giving each of its Top 5 two solo performances for the night. The end of the season is very much in sight, now, and all of them were vying for the Top 4 slots. Sheryl Crow was the week’s mentor, though in previous interviews she has been very unfavorable of American Idol. But, she’s in the middle of a comeback so all previous bets are off. Carole King was the theme of American Idol’s Top 6 week. King is an extremely successful singer-songwriter with a wide catalog of music… but she’s also a repeat Idol subject, and a theme inspiration in a year that we were told would be free of them. 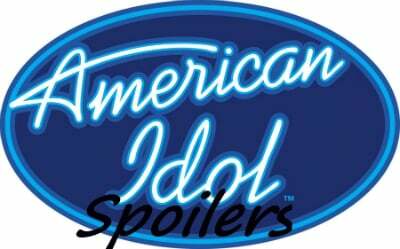 If they’re going to renege on their promises, Idol could at least find a brand-new theme to exploit. There are no shortage of good songs to pick from Ms. King's collection, however, as the night eventually proved. Babyface was the week’s mentor. Carole King is among the many, many recording artists the hitmaker has worked with. The Top 7 received a standing ovation from the in-house crowd as they stepped out onto the American Idol stage, and the show was off to an energetic start for the Wednesday performance round. The theme of the night was Songs of the 21st Century, which gave the Idols a wide range of recent music to select. 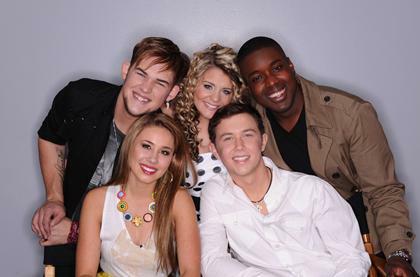 But before they could perform, the ousted Idols opened the show with “So What.” The group included Naima Adedapo, Ashton Jones, Karen Rodriguez, Thia Megia and the show’s two most recently eliminated contenders, Pia Toscano and Paul McDonald. The women paraded out first and mostly sounded horrible, but they put plenty of attitude into the performance. Paul McDonald walked out on stage to join them wearing his embellished, sparkling black suit. You can see it all in the video at the top. Tuesday’s American Idol opened with a re-cap of Pia Toscano’s surprising elimination, which caused a Twitter flurry and upset the three judges last week. But this week, she’s gone—for better or worse. And the Top 8 performers carried on without her, because Idol’s show must go on. The show took time to pay tribute to J-Lo, who has just been named as People’s Most Beautiful Woman. 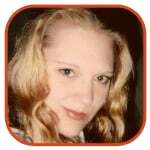 Perhaps it’s appropriate that she be celebrated on the show—it’s Movie Week on Idol. And that doesn’t meant show tunes… it means soundtracks. American Idol gave viewers an energetic opening to Wednesday’s performance night. Gwen Stefani worked on the show for the week, dressing all the female contenders in her clothing line in a bit of cross-promotion courtesy of FOX. The week’s theme was dedicated to the Rock and Roll Hall of Fame in Cleveland, Ohio. Idol’s new judge Steven Tyler is a recent inductee into the Hall. Black Eyed Pea will.i.am helped coach contestant, some of whom were bound to have big trouble with a rock n roll theme. The second Top 11 performance on American Idol began with an appropriate recap of last week’s shocking elimination, which culminated in the most dramatic judges’ save in show history. The save is now gone, and all 11 performers have been cut loose to stand on their own… if they can. Ryan Seacrest spent some time speaking about last week’s “incredible moment” before introducing the singers for the evening and theme for the night. Elton John was the man of the evening, a rock icon who has rubbed elbows with royalty and inspired the likes of Lady Gaga, Madonna and others.